I’ve been back at work at Intel Software Network for almost a week now, and already there have been some great discussions. Last week, in staff meeting, we were talking about how to better integrate discussion (comments, etc.) into the articles that get posted onto our Community pages. I spoke up and volunteered to put together some thoughts on how other sites accomplish this, as well as how I think ISN could do it. I started jotting down some notes, and taking some screenshots, and it just kind of evolved in to this blog post. We’re not talking about the secret sauce or anything, so I’m posting it here. Some backgroud first. If you’re not familiar with the layout of ISN, we’ve got a couple of “areas” to the site. The main site and the community pages are powered by a custom CMS that we’ve written, and the main unit is the Article. (Links go to examples.) New articles get posted with news, contest information, white papers, or whatever the community managers decide to post. There are other areas of ISN, including the blog and the discussion forums. What we’re looking at is how to add better, meaningful discussion capability to the articles in the main/community areas of the site. I see a lot of similarities between ISN and one of my favorite news/community sites, ArsTechnica. They are set up in a similar fashion – they have an area where news articles are posted, and they have a separate part of the site for discussion forums. In their last site redesign, they added some features that I think work really well, and that represent one way we could improve discussion on ISN articles. On further investigation, though, you see that even these comments are really part of a thread in the News part of the forum. There’s just some display magic that makes the comments appear on the article page itself. OK, so Ars has a nice facility for discussion of news articles. What does this have to do with Intel Software Network? 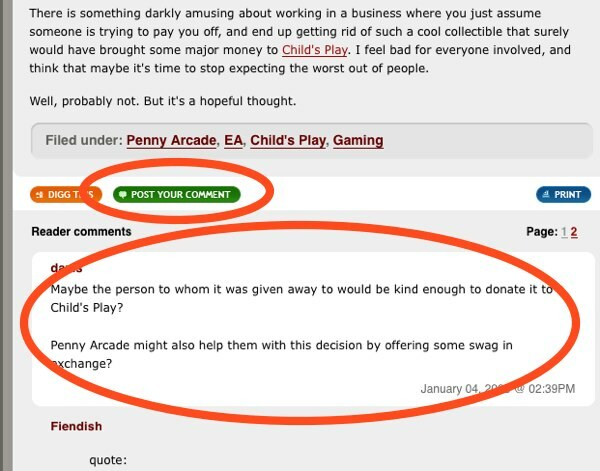 Well, we have an existing forum system that’s home to a lot of great discussion. Just like Ars. I think we (ISN) could accomplish our goal of adding discussion to those “static” articles on the main and community pages simply by adding a link on each article to its own discussion thread in the forums. 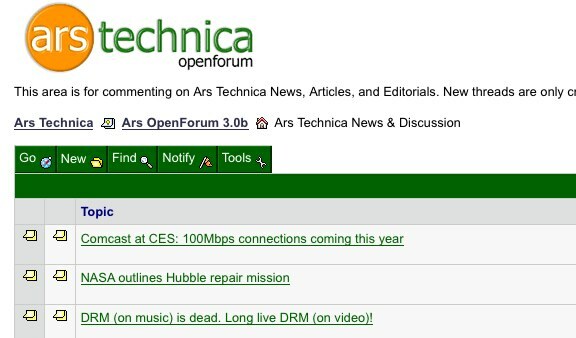 We could create a separate forum for discussion of articles, like Ars did, or we could create the threads in the relevant topical forum (discussion of Multicore articles in the Multicore forum, etc.). Why not add some code to the article system to let people post comments directly there? Well, we could do that, and it would work. But how would people find those discussions, if they weren’t where the other discussions are happening? Would they be indexed by the search engines? Would people be able to get notifications when followups were posted in their threads? If we talk about coding up our own comment system, that’s fine, but in order to have it be at least as robust as the discussion capabilities on the forums and on the blogs, we’re talking about a non-trivial amount of programming.